Great for your favorite male flutist. (Females can wear them too!) 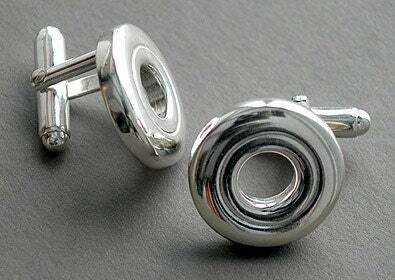 Solid sterling silver open hole keys on sterling silver cufflink mechanisms.